From an 18th century Icelandic manuscript. A few years back, during internship, I had a client who was into Jungian astrology. She insisted that she be able to run my charts before committing too much to therapy with me—wanted to know if we were compatible, if I would fit into the destiny she saw for herself in her own charts. With my supervisor’s assent, I gave out the data she required: time and place of birth as accurately as I know them. She knew I was skeptical on the subject, as she had asked and I had answered as honestly as I am able (indeed even tactful dishonesty is difficult for me, for reasons you might be aware of if you have read other of my entries here). And she returned a week later eager to tell me what she had found. I was then in the strange position of being paid to receive an astrology reading from a professional psychic/astrologist. She insisted this was necessary for her, and indeed, it did seem that it would realign the balance of perceived power in the room back towards her favor. Her history was one of years of orthodox psychoanalysis she characterized as brutal, with a narcissistic analyst. The pressure was constant, he gave her nothing ever, and the scrutiny was microscopic. So we proceeded with this reading of the charts. And I was stunned by the accuracy of her perceptions. She read me down to a fine level and gave me all sorts of helpful advice. This reading was the start of a relatively long (for internship) and productive relationship. Knowing me in this way helped her to trust me, but perhaps more importantly, my willingness to submit to her scrutiny must have been helpful. Now astrology is very clearly impossible. Read Phil Platt’s blog Bad Astronomy (http://www.badastronomy.com/bad/misc/astrology.html) before you argue. The simple fact of recession—the stars and constellations have changed position in the sky since the Western system was developed, and this has not been accounted for—invalidates the practice completely. So what accounts for the perceived accuracy of this reading? First, my own willingness to trust the client/reader. As Platt notes, we tend to be fairly uncritical consumers of this material, to hear the hits and forget the misses, and to easily believe vague, positive things said about us. But I suspect this is not all. I trusted the client but not the astrology. I am deeply and irredeemably skeptical. I suspect there was a high level of perception in the client independent of the system she utilized. And this leads us to psychological testing. The client was able to perform a useful and largely accurate psychological analysis at least as good as any I had put together using the Rorschach, MMPI, and other instruments. None of the instruments we use in testing claim to have ultimate decisional ability, strict diagnostic sufficiency. Using the data readouts from the MMPI’s computerized scoring system, for example, was considered at my internship site to be unethical. Any monkey with two fingers could print out the sheets and staple them together. We were required to look much more deeply at what the patterns meant in the context of other data and our experiences of the client. The most salient instrument we used was our selves, and all suppositions were tested in a diagnostic interview and then as a follow-up interview prior to finalizing our findings. The instrument is only as utile as the person asking the questions, going through the motions with the testee. Most instruments have strict protocols to minimize the effects of the tester on the results to get the most objective data possible, which is really an absurdity. It is the very subjectivity of the experience—the intersubjectivity of it—that gives value to the questions, images and activities involved in the instruments in question. In the end, whether things are true is largely irrelevant. The real question of worth is whether they are helpful. I doubted the theoretical bases of most of the tests I brought to bear but the results, the integrated reports, generally were of use to the clients. 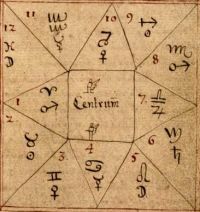 And this client’s use of astrology to explain her world was of service to her. Whether Freud’s psychosexual stages or Erikson’s psychosocial ones or Jung’s archetypes describe something objectively real or not, the value of any explanatory system is in its usefulness to the observer. I never tried to talk my client out of her belief in the psychic systems she utilized. It seemed important to her, however, that I believe in them also. This was a source of stress on the relationship but also grist for the mill. And I remain irredeemably skeptical.